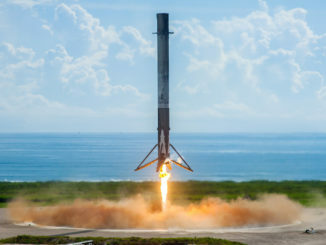 A SpaceX Falcon 9 rocket took off from Kennedy Space Center’s launch pad 39A on Thursday, then its first stage booster touched down on a nearby landing target after sending a U.S. Air Force X-37B spaceplane toward orbit. 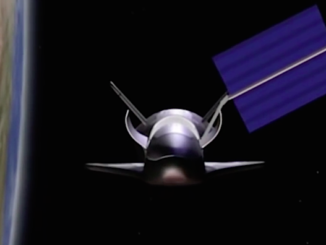 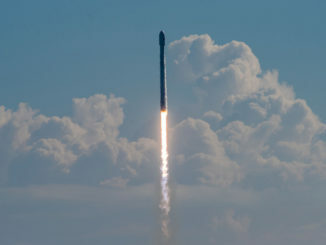 Succeeding on a one-shot launch attempt before Hurricane Irma shuts down the Cape Canaveral spaceport, a SpaceX Falcon 9 rocket thundered into orbit Thursday with the U.S. Air Force’s X-37B spaceplane, a reusable robotic mini-shuttle that could stay aloft for years with clandestine on-board experiments. 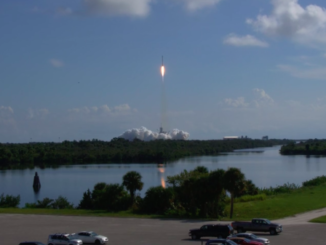 Watch a 4K video replay of Thursday’s Falcon 9 launch from NASA’s Kennedy Space Center in Florida. 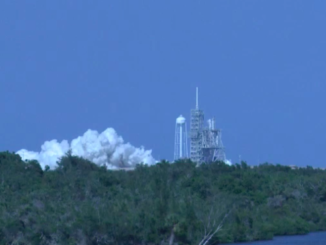 This zoomed-in shot shows SpaceX’s Falcon 9 rocket firing off launch pad 39A Thursday with the U.S. military’s X-37B spaceplane. 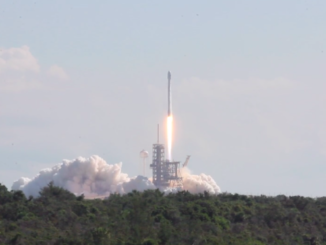 A SpaceX Falcon 9 rocket lifted off Thursday from NASA’s Kennedy Space Center in Florida with the U.S. Air Force’s X-37B mini-shuttle, an unpiloted orbiting military laboratory. 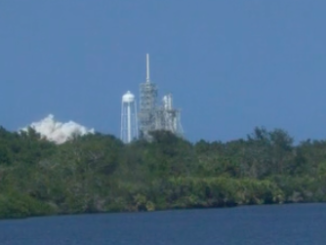 Liftoff occurred at 10 a.m. EDT (1400 GMT), and the Falcon 9’s first stage booster successfully landed at Cape Canaveral a few minutes later. 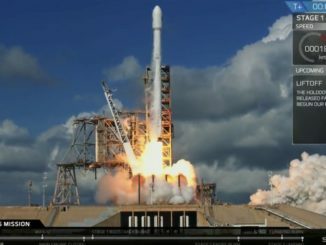 With an eye on dangerous Hurricane Irma’s forecast path toward Florida, SpaceX and the U.S. Air Force are proceeding with preparations to launch an unpiloted reusable military spaceship Thursday on a mission to conduct experiments in orbit, deploy multiple small satellites and glide back to Earth for a runway landing after months or years in space. 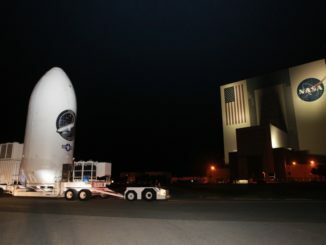 Cocooned inside the nose cone of its Falcon 9 rocket booster, the U.S. Air Force’s X-37B spaceplane journeyed from a former space shuttle hangar at NASA’s Kennedy Space Center, past the Vehicle Assembly Building and toward launch pad 39A last week ahead of liftoff Thursday. 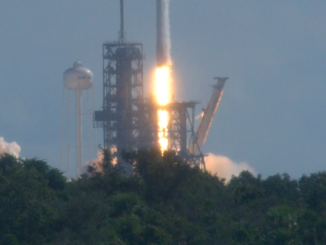 Running through a practice countdown and hold-down engine firing at NASA’s Kennedy Space Center, a SpaceX Falcon 9 rocket passed a key checkpoint Thursday ahead of liftoff next week with the U.S. Air Force’s fifth X-37B spaceplane flight, a mission that will come with several firsts.